Mobilink once again proved to be the Pakistan’s Number 1 network – Mobilink provides its customer with valuable offers. It now introduce an IDD Offer for its customers to call freely to Saudi Arabia & UAE at the most affordable rates. 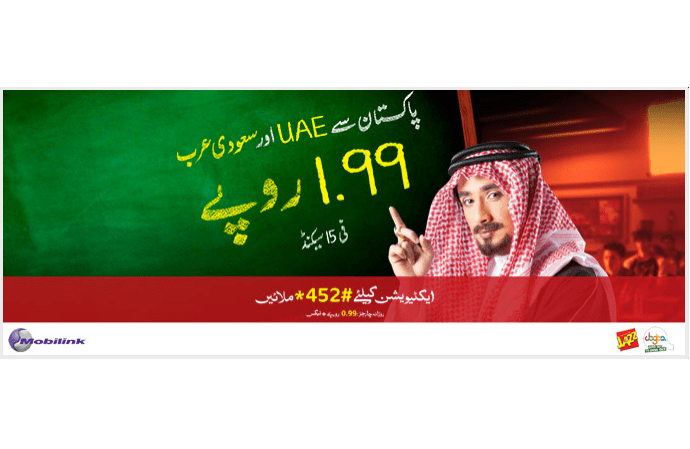 [blockquote cite=””] Now talk to your friends & family living in Saudi Arabia and UAE for just Rs 1.99+Tax/15 sec. Dial *452# to avail the offer. Daily Fee Rs 0.99+Tax. Dial *452# and get subscribed to the offer.